Impressive modularisation concepts for the engineering of technical gases plants — From coolants, protection gas or additive in refreshing drinks — CO2 gets industry experts and customers sparkling with excitement. 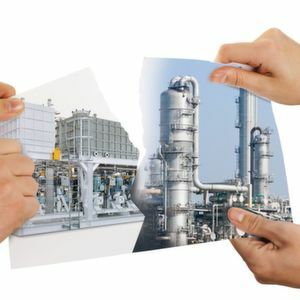 Also plant engineers have set their sights on this versatile molecule: Technology specialists are turning to modular plant design for the production of technical gases. In fact, LCO2 plants (LCO2 = liquid CO2; liquid carbon dioxide) from the construction kit have several advantages. Simple select from a catalogue and assemble at the construction site — Is this how future plant engineering will look like? Put together from a combination of pre-fabricated modules and delivered in the style of a construction kit. Even in the context of connected industries, internet of things and concepts like Industry 4.0, modularisation plays a crucial role. 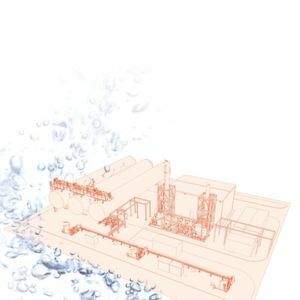 “Modularisation and standardisation are essential success factors in the planning, production and installation of small and medium-sized process plants”, says Andreas Lodig, Project Manager Business Development and Sales, for CO2 Purification and Liquefaction Plants at the Linde Engineering Division. The construction kit idea is in high demand with engineering projects at decentralized locations or remote construction sites, which are typical for the manufacturing of technical gases. Even today, plant manufacturers offer a wide portfolio of modular solutions for the most variegated of applications and capacities. This concept can also unfold its advantages when food-grade purity without premium pricing is needed — as it is the case with CO2. Be it as a coolant, protective gas, in green houses or as carbonic acid in sparkling drinks, this versatile substance is in demand in many sectors. The gas occurs as a waste product in a multiplicity of industrial processes ranging from ammonia synthesis to biogas plant. Even if the processing of the different feed gases involves major differences in detail, compression, pre-drying, gas washing and liquefaction are the typical process steps involved in the preparation of CO2. This flexibility at medium-sized production scales makes LCO2 plants ideal. The Engineering Division of the Linde Group has fully embraced the idea of the process plant construction kit when it comes to CO2. This concept was developed jointly with experts from Linde’s Gases Division, which has gathered experiences and know-how from more than 100 plant projects.